There has always been a fascination with hypnotism throughout the centuries. 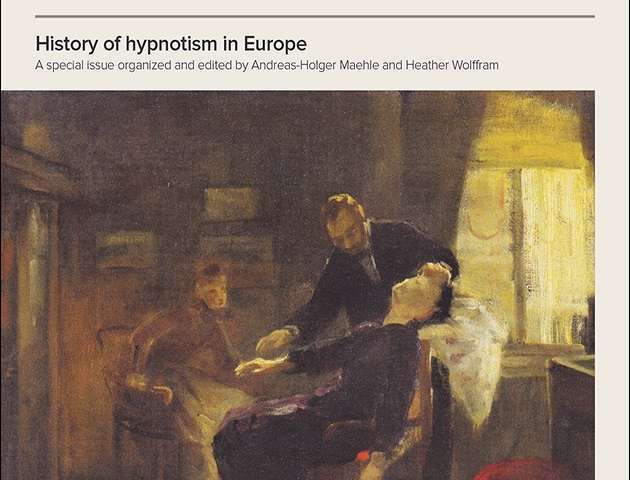 The latest special issue of Notes and Records examines the history of hypnotism in Europe and we asked one of the Guest Editors, Andreas-Holger Maehle, some questions about his research. How did you become interested in hypnotism? I had been researching the medical ethics of the Berlin physician and sexologist Albert Moll (1862–1939), who was one of the main propagators of hypnotic therapy in Germany. This led me to studying Moll's contributions on hypnotism, when I learnt that Kaat Wils of KU Leuven was bringing together a group of scholars for a panel on hypnotism at the conference of the European Society for the History of Science 2014 in Lisbon. I joined that group, and in Lisbon we developed the idea of a special issue of Notes and Records on the history of hypnotism in Europe. I was happy to take on the role as guest editor, together with Heather Wolffram, and we managed to include contributions on Spain, Italy, France, Belgium and Germany. Can you explain briefly the views of the school of Nancy and Salpêtrière? Jean-Martin Charcot's school at the Salpêtrière hospital in Paris held that hypnosis was an induced pathological state of the nervous system and that only people with a certain nervous or hysterical disposition could be hypnotized. The school of Hippolyte Bernheim in Nancy, by contrast, interpreted hypnosis as a common psychological phenomenon resulting from suggestion. It emphasized the therapeutic potential of suggesting to patients in the hypnotic state that their symptoms vanished or at least improved. 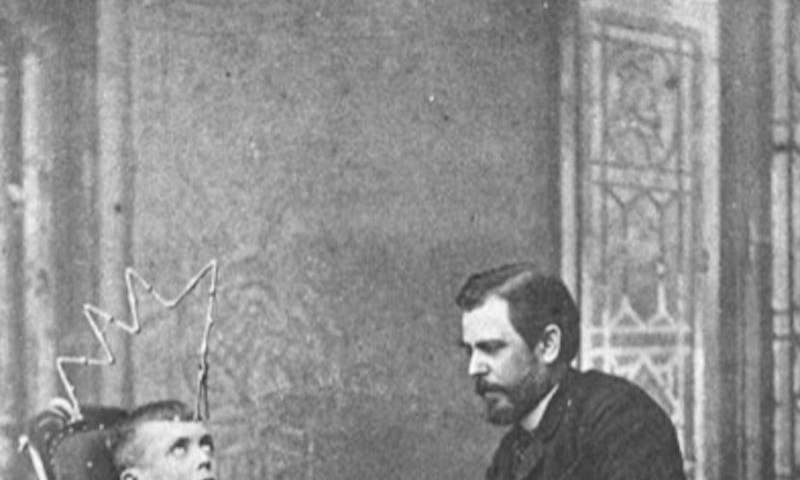 How did Freud influence hypnotism? Freud initially propagated the work of both schools, by translating Charcot's lectures on the nervous system and hysteria as well as Bernheim's book on the therapeutic effect of suggestion into German. He also served on the editorial board of the Zeitschrift für Hypnotismus, the main German-language journal for research on hypnotism and hypnotic treatments. As is well known, Freud used initially hypnosis on his patients, but later replaced it by his method of 'free association', in which the patient is encouraged to express whatever comes to their mind. Psychoanalysis, and other non-hypnotic approaches of psychotherapy, in the early 20th century eventually began to overshadow hypnotherapy in the tradition of Bernheim. Do you feel hypnotism is trusted for use in medical practices? I have no expertise in present medical uses of hypnosis, but it seems to me that its application is recognized in some areas such as treatment of nicotine addiction, pain relief, and therapy of anxiety and phobias. However, in many countries hypnosis still isn't part of the basic medical curriculum. 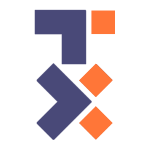 On the other hand, there are some professional and academic societies, such as the European Society of Hypnosis in Psychotherapy and Medicine, that strongly support the therapeutic application of hypnosis and critical research in this area. How do you feel hypnotism is viewed nowadays compared to the early 20th century? There seem to be some interesting parallels between attitudes towards hypnotism then and now. The debates on hypnosis in the late 19th and early 20th centuries highlighted the therapeutic potential but also problematic side-effects and the risk of abuse of the method for immoral purposes. Relatively few doctors were fully committed to hypnotherapy, many thought that suggestions while the patient was awake were sufficient. Today, hypnosis still seems to encounter skepticism in the wider medical profession, and the indications for using the method are probably narrower now than they were a hundred years ago. As in the past, when famous stage hypnotists such as Donato and Hansen attracted large audiences in many European countries, there is still much interest from the general public in the phenomenon of hypnosis. Stage shows and TV programs involving hypnosis are popular internationally.